Ground Control is one of the UK’s fastest growing, privately owned, external landscape solutions providers, always providing customers with what they need for less. Their mission is to set a new benchmark for excellence and value in the industry; they don’t follow the herd with run-of-the-mill solutions. Above all, they are passionate about always doing the right thing for their client’s, people and communities, even if it’s not easy. If some of this sounds familiar, it should do as Ground Control’s values are similar to those held by Spinaclean. As a consequence and with Spinaclean’s unrivalled expertise in external paving cleaning and high level gutter cleaning we are now working closely with Ground Control offering our knowledge, equipment and advice as they open up their business model to include an external cleaning service to their customers. 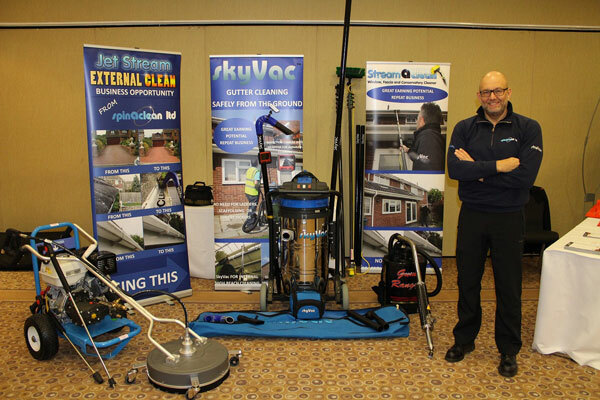 We are delighted to be invited back for the second time to showcase our innovative cleaning equipment including the SkyVac at the Ground Control roadshow at Chelmsford on 7th February 2017 and Nottingham on 22nd, where special offers exclusive to Ground Control contractors will be available.